On a small budget take advantage of this detached 4 bedroom renovation project. You can enjoy . . . Very well presented four bedroom property in a village with amenities and station. Detached house in a village within walking distance of shops, outdoor swimming pool and . . .
Three bedroom house in a lovely village location with lots of potential and within a short distance of amenities and the train station. An ideal family home in the centre of a village with a lively community spirit, with social . . . This large village property is divided into 2 good sized homes. Originally a house and a . . . 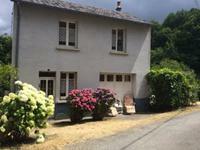 Situated just outside and above the historical town of Benevent l'abbaye, with amenities and . . . Beautifully presented five bedroom stone property in a small hamlet with half an acre of lovely gardens. Ready to move straight into, this property has been maintained to the highest standard. Well . 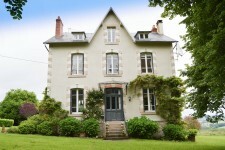 . .
An absolute bargain property within 1km drive of Bénévent l'Abbaye with all amenities is this . . .
Detached house set in the countryside with 2 bedrooms and garden that is big enough to sit . . .
One bedroom village house with large garage and garden in walking distance of amenities. Investment opportunity. Modernised to a good standard, in a village with a community spirit, a train station with . . .
Large habitable 4 bedroomed farm house with outbuildings, land, 27.200m² 2.72ha also a cave beautiful gardens and views. Large habitable 4 bedroomed farm house, attached large barns, garage and other outbuildings. . . . Renovation project with a small price tag, ready and waiting to be loved again. This would . . .
Bargain 4 bedroom town house renovation project property, situated in a pretty town with . . . Stunning old Stone property with four bedrooms, bathroom, lounge/dining areas and kitchen. Set in it's own grounds with outbuildings. Set in a small hamlet, this property would be ideal for someone who loves the outdoors, with . . .
Absolute bargain not to be missed. This is one of the oldest properties in its hamlet and I . . .
Town house with a front terrace garden in a historic region and metres away from the beautiful abbey. A lovely compact lock up and leave or equally a comfortable full time residence. Amenities . . .